Living to a ripe old age may depend on a person’s relationship to family, friends and community, according to research that finds lonely older adults are more likely to die sooner than their more socially active peers. Lonely people who are 60 and older tend to have a 45 percent higher risk of dying over the next six years, according to research in the Archives of Internal Medicine. Another study showed that people who live alone and had heart disease were 25 percent more likely to die from the illness. One study followed nearly 45,000 people aged 45 and older who suffered from heart disease or had a high risk of developing it. Those who lived alone were more likely to die from heart attacks, strokes, or other heart complications over a four-year period than people living with family or friends, or in some other communal arrangement. The risk was highest in middle-aged people, just 14 percent of whom lived alone. Solo living increased the risk of heart problems and early death by 24 percent among people ages 45 to 65, and by only 12 percent among people ages 66 to 80. And there was no association at all in people age 80 and older, a group in which living alone is widespread. Additional research is needed to confirm the findings, but it may not be a bad idea for physicians to ask heart patients about their living situation, said senior author Dr. Deepak L. Bhatt, M.D., a cardiologist at Brigham and Women’s Hospital, in Boston. Living solo “could be a little red flag that a patient may be at a higher risk of bad outcomes,” Bhatt said. But living alone could impact health in more immediate ways. For example, people who live along may skip their medications or ignore the warning signs of heart trouble, according to Bhatt. Bhatt notes that patients who live alone should never ignore changes that might be a sign of health problems. “Many times people just adapt to their circumstances. Perhaps just lower your threshold a little bit and realize it’s better to call (the doctor) than not to call.” That might not be the entire story. “Other mechanisms by which living alone could increase cardiac risk have to do with possible social isolation and loneliness, and these are more challenging to fix,” he said. Writing in Time, Alice Park notes that “Loneliness can be detrimental in many ways, some of which are biological and some of which are more behavioral. Feeling isolated can trigger changes in brain chemicals and hormones that can increase inflammation in the body, for example, which can exacerbate conditions like heart disease and arthritis. Loneliness may also lead to other problems — poor sleep, depression, a disinterest in one’s own healthcare — which can in turn contribute to disability and early death. Which is why the researchers were particularly concerned over another finding — many of the elderly who said they felt lonely were not actually living alone. 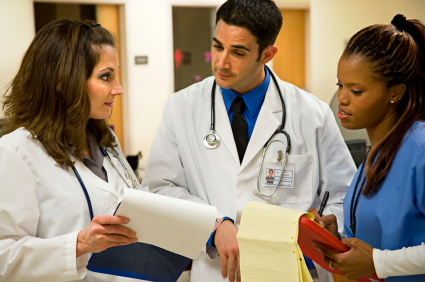 Job growth in the healthcare profession seems to be virtually recession-proof. In Florida, a state with a sizeable percentage of senior citizens, there are about 960,000 healthcare and social assistance jobs, approximately 13 percent of all nonfarm payroll positions in the state. Some experts are not as optimistic about job growth in the healthcare sector. “Reform may accelerate the trend toward healthcare’s being the dominant employment sector in the economy,” according to a recent New England Journal of Medicine (now known as NEJM) article. A significant amount of the growth in healthcare that result from reform might be in support positions, rather than physicians and nurses, several economists said. “As for jobs for health professionals, I doubt that this will or can increase the number of doctors or nurses. While there will be greater demand for their services, there will also be offsetting effects as medically unnecessarily procedures are paid less,” said Amitabh Chandra, an economist and public-policy professor at Harvard University. As the insured population grows under the federal Patient Protection and Affordable Care Act (ACA), healthcare workers will be in high demand. These gains come on the heels of growth already required to serve an aging population. In Florida, the aging population’s impact on healthcare employment is more dramatic than in the rest of the country: about 17 percent of the state’s population is older than 65, compared with a 13 percent average in the other states., according to the Census Bureau. Other experts are far more sanguine about healthcare’s ability to create jobs. “The big places we waste money is patients who are discharged and there’s not a lot of follow up and they end up in the hospital a month later,” said Leemore Dafny, an economist at Northwestern University whose expertise is competition in healthcare markets. According to Dafny, reform will create new primary-care physicians and physician “extenders,” such as nurse practitioners; at the same time, it could decelerate growth in spending on medical specialists. “If the ACA is repealed, it will be business as usual — except that more of the population is now uninsured — so the demand for primary-care professionals will increase much more slowly,” said Dafny. In fact, according to the Bureau of Labor Statistics (BLS), the healthcare sector for some time has provided about the only bright spot in an otherwise drab report on job growth. Healthcare employment created 205,100 new jobs in the first eight months of 2011. Approximately 14.1 million people are employed in the healthcare sector with more than 4.7 million jobs at hospitals; more than 6.1 million jobs in ambulatory services; and more than 2.3 million jobs in physicians’ offices, according to BLS statistics. Healthcare added 17,200 jobs in November of 2011, an increase over the 11,600 jobs reported in October, according to BLS data. Healthcare accounted for 14.3 percent of 120,000 new jobs created across all sectors in November. On the whole, healthcare represented 24 percent of the 1.2 million non-farm jobs created this year and is expected to create 321,000 new jobs by year’s end. 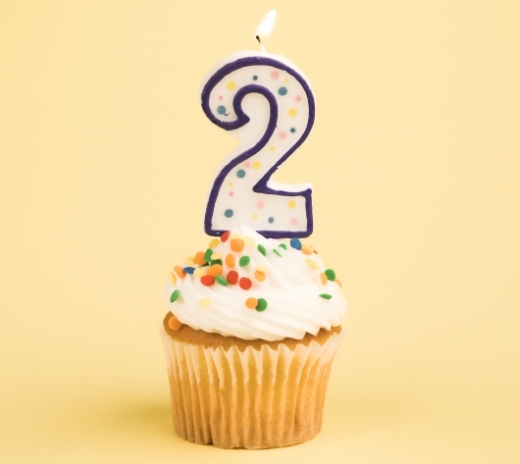 That represents a 22 percent increase over the 263,400 healthcare jobs created in 2011. 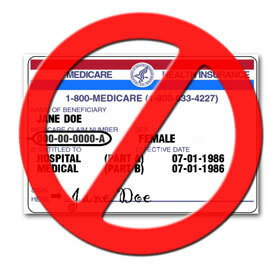 Despite rumors to the contrary, the basic monthly premium for Medicare will be less than anticipated in 2012. The new Part B premium, which covers outpatient care, will be $99.90 a month for 2012, approximately $7 less than projected as recently as May. In other words, the majority of senior citizens will pay $3.50 more a month next year, instead of $10.20, as forecast earlier. Some younger retirees who enrolled recently will actually see their rates go down. They have been paying as much as $115.40 a month. Instead, they’ll also pay $99.90 next year. The primary reason for the lower-than-expected premiums is a result of the interaction between Social Security cost-of-living adjustments (COLA) and Medicare. Some Republicans do not see the connection between Medicare premiums and the ACA. “Lower Medicare premiums are being driven by lower-than-average Medicare spending due to the slow economy” – not the healthcare law, said Antonia Ferrier, spokeswoman Senator Orrin Hatch (R-UT), the ranking Republican on the panel that oversees Medicare. Part B premiums have been frozen at the 2008 level of $96.40 a month for about 75 percent of Medicare beneficiaries because of a lack of a Social Security COLA during the recession. Social Security recently announced a raise of an average of $39 a month for 2012. The Part B premium is of great interest to the 48 million people covered by Medicare. Average premiums for prescription coverage and for popular Medicare Advantage plans will stay flat or dip slightly for 2012, but fewer beneficiaries opt for those benefits. 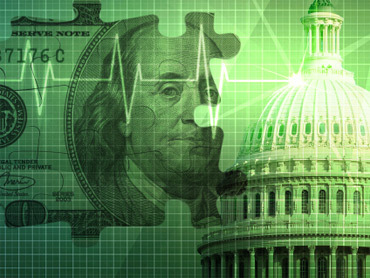 In May, government experts forecast that Medicare premiums would rise to $106.60 for 2012. At that time, they were also estimated a Social Security COLA of just 0.7 percent – but it turned out to be a larger 3.6 percent increase. 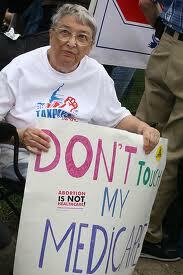 As a result, rising Medicare costs could be spread among many more people, resulting in smaller individual increases. AARP echoes that sentiment. “Millions of America’s seniors are struggling with higher expenses – particularly higher healthcare costs, lower incomes, depleted savings and reduced home equity or homes lost to foreclosure, and this small increase is welcome news,” noted David Certner, AARP’s legislative policy director.